WHAT ARE H2020-MSCA-IF-2017 INDIVIDUAL FELLOWSHIPS? Scope : Support is foreseen for individual, trans-national fellowships awarded to the best or most promising researchers of any nationality, for employment in EU Member States or Associated Countries. It is based on an application made jointly by the researcher and the beneficiary in the academic or non-academic sectors. WHERE DOH2020-MSCA-IF-2017 INDIVIDUAL FELLOWSHIPS TAKE PLACE? European Fellowships are held in EU Member States or Associated Countries and are open to researchers either coming to Europe from any country in the world or moving within Europe. Global Fellowships are based on a secondment to a third country and a mandatory 12 months return period to a European host. Only one proposal per individual researcher is evaluated. 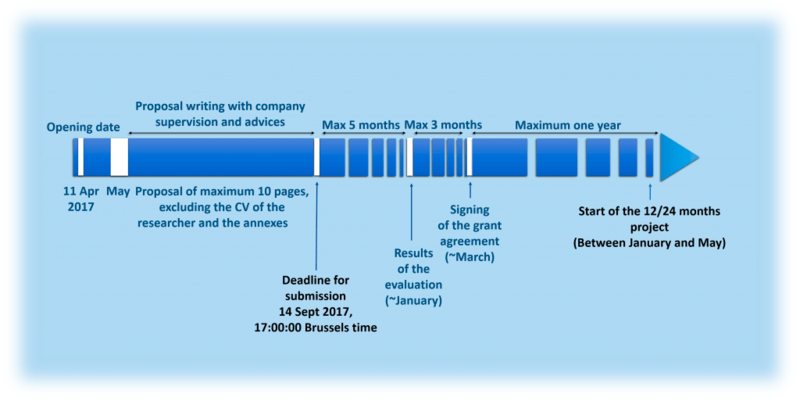 WHAT IS THE PROCESS TO APPLY TO A H2020-MSCA-IF-2017 INDIVIDUAL FELLOWSHIPS? 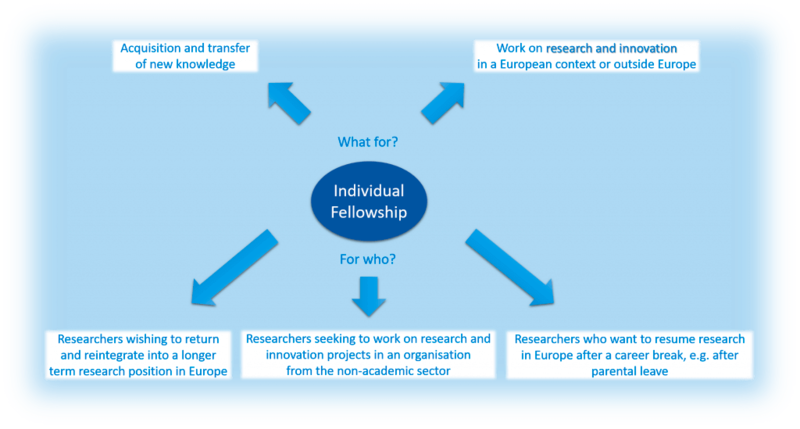 WHAT IS THE SALARY OF A H2020 IF INDIVIDUAL FELLOWSHIP? The gross salary is thus of ~ 5250€ (~ 3000€ net salary) for a researcher without family obligation and ~ 5750€ (~3300€ net salary) for a researcher with a family allowance. Elvesys is an innovative and entrepreneurial company created by three former researchers wishing to promote entrepreneurship and cutting-edge research. We are a rare mix between a private research lab and a start-up accelerator. We are searching for excellent and motivated researchers aiming at being the pioneers of their domain to apply with us to this prestigious H2020-MSCA-IF-2017 Individual Fellowships.